As a registered dietitian and certified practitioner in Gold Standard EFT I regularly hear people ask how to lose weight and manage their eating pattern / habits when they have a busy work schedule that involves a lot of travel. This question was asked yesterday in one of the Facebook groups I’m a member where I started to respond this morning. I realised when my response got to page 2 in a word document it was a tad too long for a Facebook post, so decided to cobble together those thoughts for you here in this blog……. Here’s what the evidence and my over 10 years of holistic practice have shown me works for my patients and clients. The following approach works to keep the weight off, increase energy and vitality and, really importantly, reduce the risk of illness and disease over the long term. From the outset it’s important to state there’s no quick fix to achieve lasting weight loss. I know that’s not what people generally want to hear, but alas it’s the truth. Yes many people lose weight by following main stream ‘diet plans’ and ‘fad diets’, but the evidence is now clearly telling us that most regain all of the weight and more in as short a time frame as 2 years. This is then sadly followed by, often decades of, yoyo dieting and ongoing increases to weight and self-blame, coupled with plummeting self-esteem and body confidence that impacts adversely on relationships and living a fulfilled life. So if you’re like most people who want to lose weight and keep it off. As well as having more energy and vitality for a long healthy and happy life, getting involved in all the thing you love to do then please read on; its about much, much more than eat less, move more. From today find the happiness in your life right now, and magnify it as much as you’re able, every single day. Look for happiness everywhere, no matter how big or small. As Tesco often tells us……every little helps!! Putting your life on constant hold waiting for that magic number to appear on the scales or on the label of your clothes is likely to mean happiness will elude you for some time to come. Getting happy can help improve your sleep and reduce your stress and anxiety levels, both of which are important factors in achieving and maintaining your healthy body weight. For many this can be challenging, so it may be useful to work with a professional like me around changing your mind set. This approach may be the investment in yourself that allows you to form the relationship you want with your, your body, your family, your friends, your colleagues and food to achieve and maintain your healthy body weight. You need to get enough good quality sleep every night; for most adults that’s around 7 – 8 hours. This is important given sleep deprivation has been shown to significantly increase the drive towards foods that are high in sugar, fat and calories. you can learn more about how to beat insomnia here. Finding effective ways to reduce stress and anxiety daily are essential. Most woman these days are in a state of chronic stress and anxiety which raises stress hormones. This means that the fight, flight, fear mechanism is constantly triggered causing the increased levels of stress hormones to impact on food choices, and how and where the body stores fat. I use Emotional Freedom Techniques personally and with clients to, amongst others, manage stress and anxiety. It’s a highly effective, evidence based technique in reducing stress and anxiety. If you’d like to learn more you may want to pop over here to take a sneaky peek at the videos I’ve created. In the short videos I explain and demonstrate the effectiveness of EFT. It may just be the best 30 minutes you spend learning a self-help tool for the management of everyday stress and anxiety. And improve your sleep. 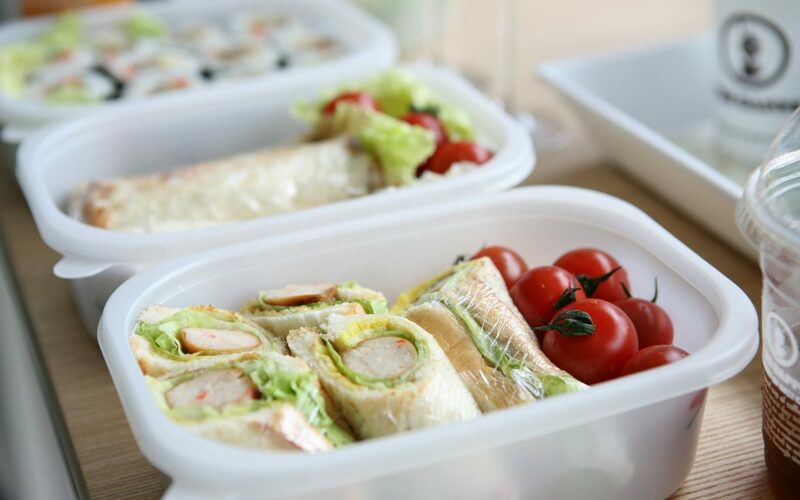 Make the time to eat your meals uninterrupted from work responsibilities, emails, mobile phones and social media. Take the time to relax and enjoy the food you’ve prepared. Eat mindfully, savour the textures and flavours of the food. This will reduce stress and anxiety, and help digest your food efficiently. Take the time to relax and enjoy the food you’ve prepared. Eat mindfully, savour the colours, shapes, textures and flavours of the food. This will reduce stress and anxiety, and help digest your food more efficiently. Here’s a link to a useful document about mindful eating. Research has also shown that those who take regular breaks from work are much more efficient, productive and accrue less sick leave. Important for those with career aspirations and the self-employed. Make time to be physically active every day, aiming for a total of at least 150 minutes over the week. This should be a combination of moderate aerobic activity and strengthening exercises. Break it up to suit your routine and pleeeeeeeease make it something you enjoy doing. Physical activity SHOULD NOT feel like punishment or unenjoyable. Important given something that you do not enjoy will only increase your stress levels, causing your body to fight against the very purpose of the physical activity. So it could be working in the garden, going for a brisk walk, cycling, housework, jogging, aerobics class, Clubbercise (my favourite! ), using the stairs instead of the lift, or the gym (but only if you enjoy it!!!!!). Use your slow cooker to prepare meals in advance so you’ve a hot meal ready when you get home from work. You can also make extras and then freeze them, producing a homemade ready meal for a later date. Buy good quality thermos flask, a thermos food pot and cool box to store your hot and cold prepared foods safely. Make a meal and snack planner for the week ahead when you know your schedule. Buy the ingredients and get ready the night before, or make time in the morning so you’ve the time available to do all that you need to. I know that can be challenging on some mornings, especially when it’s dark and cold outside of your warm, comfy bed, but it’s worth it to achieve your goals. It can be as complicated as you like or as simple as heating up a can of lentil and vegetable based soup, popping it into a flask / food pot and have it with 2 slices of wholemeal bread. Then add some yoghurt and fruit for dessert. This can be a helpful choice for busy people. It’s balanced across the 5 food groups, high in fibre and many canned soups count as 2 portion of your 5-a-day, and will keep you feeling fuller for longer. Whether you follow a 3 meals a day or a little an often approach it’s crucial that there are no long periods of time between meals. This is important given long periods without food will likely switch your body into starvation mode. Important, given that over the long term this approach can slow your metabolism and make losing and maintaining weight loss and achieving your healthy body weight more challenging. The evidence in looking at those who skip breakfast, on average consume around 500 calories more each day than those who do eat breakfast. No matter what any self-appointed “expert” or celebrity tells you it’s never a good idea to eliminate any food groups unless you’ve a diagnosed reason to do so, and are supported by a Registered Dietitian regarding the alterations to your food and fluid intake. Thing is, eliminating food groups without knowing exactly how to replace missing nutrients is a recipe for health disaster in the long term. Similarly, managing portion sizes is a necessary step in the process too. No matter what you eat your tuna or chicken with if the portions are larger than you need then your weight is unlikely to stay higher than you would like in the long term. I’ve previously written about this elsewhere. Yes meal replacement products and smoothie type diet plans can help you lose weight in the short term, however I’ll refer you back to my previous point about most who follow this type of programme regain all of the weight and more, usually very quickly. Furthermore, they’re all too often limited in essential nutrients, vitamins and minerals, therefore not useful for overall health and wellbeing. Many smoothies are likely to cause spikes to your blood glucose levels, depending on the ingredients. This is because smoothies can be really easily digested and absorbed quickly into the bloodstream which causes the spike to blood glucose. This is because the work your stomach would usually do to keep the fruit and vegetables in your stomach for a longer period of time has been done by a machine. Furthermore, emerging good quality evidence is also showing that spikes to antioxidants levels from smoothies are overcompensated for by the body, which takes antioxidant levels to lower than ideal levels for as many as 24 hours after drinking. Here’s a link to further information on this very subject. So if you’ve got this far, thank you I know that was a lot of information! Thing is, I felt it was important to include all of this for you as there’s just sooooo much misinformation out there confusing people. And, as ever, if you think this article may be useful to someone else please do feel free to share it with them. And maybe come over and join the conversation by joining my email list which you can join by signing up to any of these freebies, you’ll be most welcome. I do hope that this has been useful for you. Do you think you’re health would benefit from any of these suggestions? Please do share in the comments below as I always love to hear from you. Dedicated to your nourishment; body, mind and spirit.